The End of the High School History Term Paper? 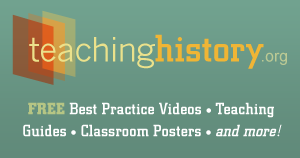 How to Teach World History for Advanced Placement Classes. No, You Don't Have to Teach History After You Get Your Ph.D.
Should Students Be Allowed to Get Away with Plagiarism? What Should We Tell Our Children About 9-11? Are College Textbooks Miseducating Students About Terrorism? What Books Are Helpful in Understanding 9-11?